Car-friendly city - anyone who hears this catchword, rolls their eyes, makes a grimace and groans. That was then. Hostile to man. Technocratic. A waste of resources. Everyone would agree. Yet there are enough people whose lives are geared towards this model, often without them realizing it. 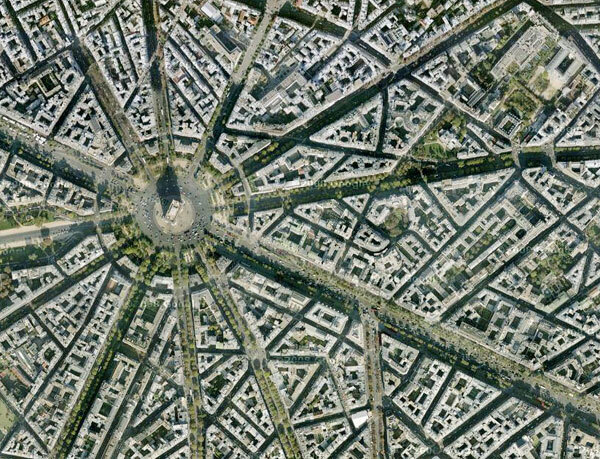 It was the architect and urban planner Hans Bernhard Reichow, who gave the name to this strict division between living and working, which brings with it the motorization of the individual. His book "Die autogerechte Stadt. Ein Weg aus dem Verkehrschaos" (The Car-Friendly City. A Way out of Traffic Chaos), which was published in 1959, summarized urban and traffic planners' central idea the during the reconstruction era and the economic miracle. Based on views and opinions he had already published ten years earlier under the title "Organische Stadtbaukunst" (Organic Urban Architecture) Reichow demanded "the development of a city that is equally suited to the nature of man and the car." His vision envisaged not the dominance of private traffic, but rather peaceful coexistence between man and machine. Anyone who has ever attempted to cover longer distances on foot in Braunschweig, Hanover, or Düsseldorf knows just what has become of this much-avowed harmonious existence. The width of the street is geared towards the needs of delivery traffic, the architecture serves the cars parking or hurtling by as a stage set, strollers lost in reverie must buck up to catch the quickly changing traffic lights, and the senses are overwhelmed by revving engines and the smell of diesel. Seen from today's perspective those to blame for this misery are quickly identified: the architects and urban planners of the 1940s and 1950s. But is it not a bit feeble to accuse them of stupidity and short-sightedness? We are familiar with the historical roots of the car-friendly city. To counter the catastrophic hygienic conditions in 19th century conurbations, in the early 20th century reformers headed by Ebenezer Howard, designed garden cities. The idea: people that spent most of the day slaving away in mines, spinning mills, light bulb factories, slaughterhouses or on building sites should live in the country in harmony with nature. Ernst May, Bruno Taut, Le Corbusier and Ernst Scharoun took their cues from this ideology. 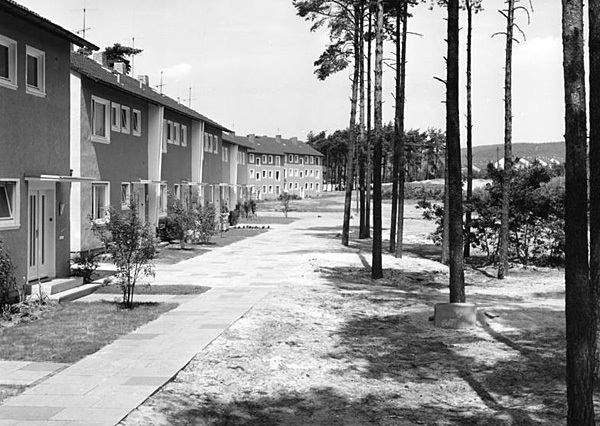 Housing people in pure residential areas, initially ridiculed as a modernist utopia, became reality on a large scale in the 1950s and 1960s. Rising real wages and the introduction of the five-day week meant that increasingly more people could fulfil their dream of a little house in the country. While women mutated to humble housewives the mostly male wage earners took it upon themselves to commute between the center and the suburbs. Initially by bus, or tram. That altered, however, when - based on the American model - television made its entry into living rooms. Then small families stayed at home to watch the evening news; the need for public transport in the evening hours decreased, and regions, cities and towns cut back on services. Driving was now the name of the game, and an enormous sales market opened up. As such, the idea of the "healthy city" made a not inconsiderable contribution to the recovery of the economy. But somehow the kilometer-long tailbacks on the slip roads and downtown areas were at odds with this image. Given this scenario it is understandable why urban planners, who after World War II set about by means of surgical procedures to ensure that the "Organism city" did not collapse, saw themselves as healers. In analogy to the human anatomy they spoke of the danger of traffic arteries in the city becoming blocked. Given the danger of all supply systems failing, they were convinced that the bombardment of German cities by the allied forces had also had a positive effect: Crucial pathways had been forged in the rambling, disorganized structure of established cities. From their perspective it was this very war damage that made it possible to correct the alleged errors of the past. 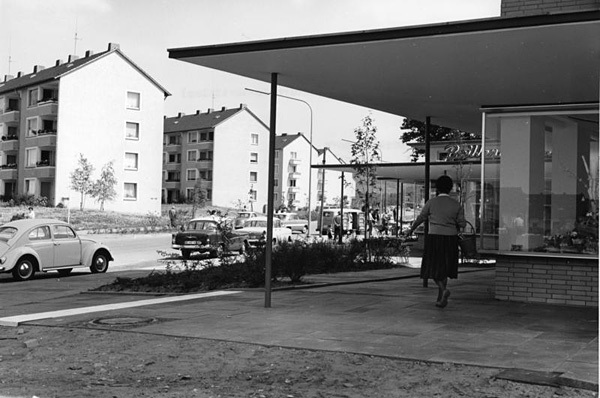 An excerpt from the twenty principles issued in 1954 by the German convention of municipal authorities (Deutscher Städtetag) for the improvement of traffic in German cities reads: "For this reason, in rebuilding our destroyed towns and cities special care should be taken to eliminating the bottlenecks in thoroughfares and allow enough space for creating squares." As research by Werner Durth and Niels Gutschow has shown, many post-War urban planners relied on designs presented to them by a special "task force for the reconstruction of bombed cities" Albert Speer initiated in 1943. Broad avenues for parades, the division of living and working places, large squares that did not impede the flow of traffic, in the last two years of the War, Speer's team - inspired by the enormous restructuring measures Georges-Eugène Haussmann had undertaken in Paris in the mid- 19th century - had already drawn up plans accordingly. 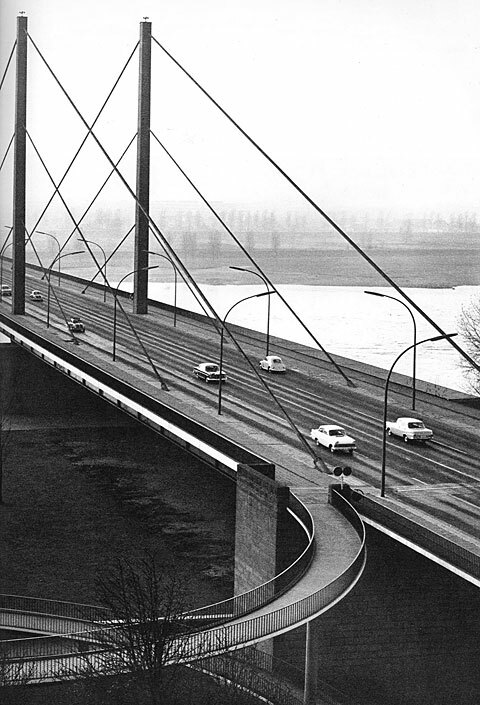 And with slight modifications, they were implemented in the 1950s in Düsseldorf, Hanover, Hamburg and Braunschweig - and the result went down in history under the name "car-friendly city". Did Hans Bernhard Reichow, who coined the term know of all this? But of course. He had acted as consultant to Speer's team. One might bemoan the fact that architects crossed paths in the course of their lifetime, and denounce the continuation of an unsuccessful urban policy. Or, as happened on numerous occasions in the 1970s, present concepts for cautious urban renewal. One might attempt to soothe the phantom pains which the amputated city still causes today with the help of dubious reconstruction. Or dream oneself in escapist style into retrospectively transfigured image of the town in the 19th century. However, none of this can disguise the fact that the thinking which produced the "car-friendly city" still prevails today, indeed has penetrated other areas of life in a perfidious manner. After all, the "car-friendly city" is not so much associated with an architectural style, material or a layout, but is more of an attitude. What we are talking of here is the principle of forward-looking planning. Never again, so the central idea, should winding paths and alleyways, cramped backyards and blind crossroads impede the prospects of economic gain and technological progress. While well into the 20th century the city catered in an unpredictable manner to the activities, desires and wishes of its residents, in the urban planner a profession became established for which forecasting the city's future needs and thus ensuring order is all in a day's work. Or put differently: The urban planner's objectives cannot be the wellbeing of city residents but must be the smooth functioning of the "city as an organism". His predictions are based on surveys, though it can happen that such data cements the future. As was the case in the 1950s. When traffic analysts were guided solely by data on motorized road traffic. 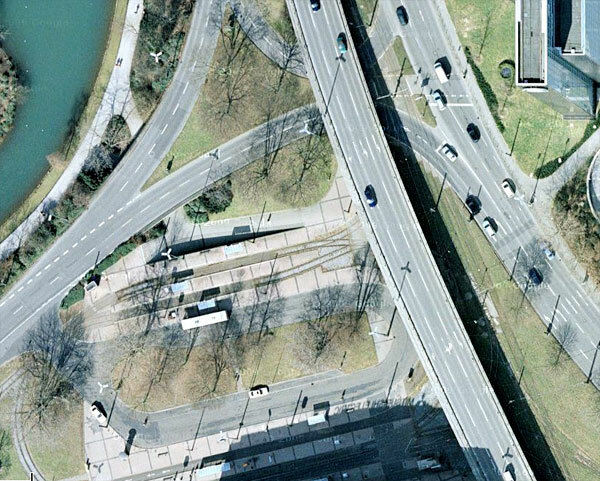 In the interests of simplicity, minor figures such as pedestrians, cyclists and trams were simply not included. Just what consequences such a perspective can have is demonstrated by a demand made by the Deutscher Städtetag in 1960: "Save the traffic, so our cities can survive." Nobody spoke about city dwellers anymore as they lived - providing they had subjected themselves to the dictate of the "car-friendly city" outside the city - somewhere out in the country. And today? Are we still merely tolerated as we pass through the city, and at most accorded a stay in the pedestrian zone that serves as a reserve? Transient incoming and outgoing visitors, whether traveling by combustion engine or electric car? The restructuring of work and re-definition of the productivity concept that must follow on from the creation of a post-industrial, digital society will change the face of our cities. One thing is certain. Thanks to powerful computers, increasing numbers of people can work anywhere on Earth that is hooked up to the electricity supply. In huts and palaces. In other words, also at home. It remains uncertain what the user and data-friendly city that is no longer dependent on the division of labor and leisure will look like, what mobility and planning concept it will produce. All the better. Let's wait and see. But we should not be overly optimistic that planners will voluntarily stop telling us how the future will look. Annette Tietenberg teaches Art at HBK Braunschweig. Following excursions into the world of historic preservation, work as a curator and art critic she is currently researching into the relationship between art and design, and examining the cultural production fields in the space age.